The city of Maribor and Hotel Habakuk proved itself to be an amazing host for a family style event with just over 100 delegates from around 20 countries. 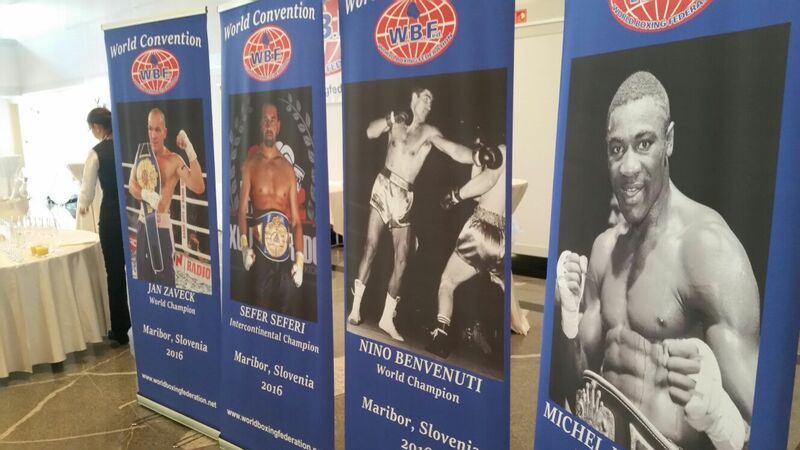 From 22nd to 25th September 2016 the city of Maribor hosted the World Boxing Federation Convention, more specifically the Hotel Habakuk where the former and future boxing champions, boxing and sport administrators and other convention attendees stayed during the convention. The World Boxing Federation, established in 1988 in the USA, is a non-profit sports organization, presidented by an experienced boxing administrator, Howard Goldberg. In the past six years the WBF has sanctioned over 330 championship contests in 40 countries worldwide, regaining and actually exceeding its former status and became one of the most well-established sanctioning bodies in professional boxing today. After a busy week in Maribor, the organizer of the event Mr Goldberg, emphasized the positives of their choice of Maribor as their world convention destination, and pointed out the cooperation and helpfulness of the city and especially Hotel Habakuk which offered a prime location at the foothills of Pohorje and offered an amazing nature scenery together with their top wellness offer to all the attendees with their massages, saunas, aromatherapies, thermal water, etc. The city of Maribor and Hotel Habakuk proved itself to be an amazing host for a family style event with just over 100 delegates from around 20 countries at event with main goal to connect, bonding and keeping good relationships. The boxing convention offered a unique programme with valuable meetings, seminars and other debates, topped with the WBF Championship Boxing Night at Tabor Hall Maribor by the presence of two former world champinos, Slovenian boxer Dejan Zavec (Former two-weight World Champion) and british Robin Reid (Former three-time World Champion).